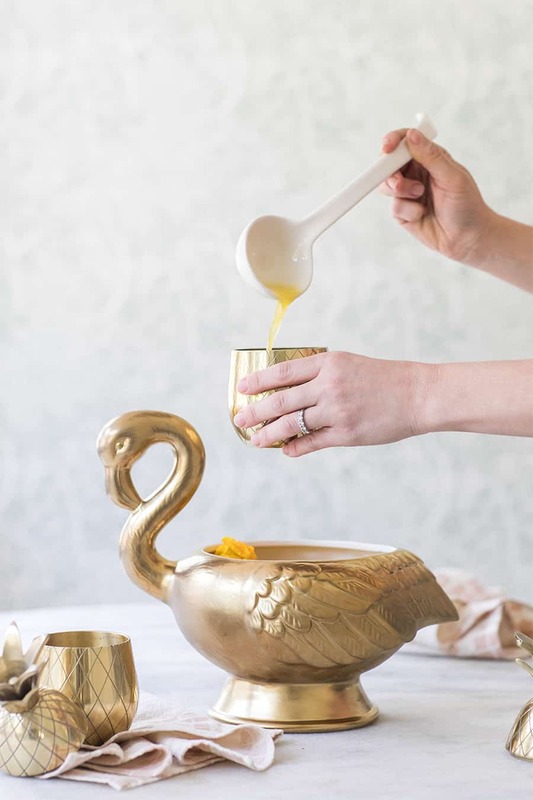 This gold swan punch bowl was begging for me to make a cocktail in it! Its quirky and playful style reminded me so much of summer and just having fun, I had to buy it. 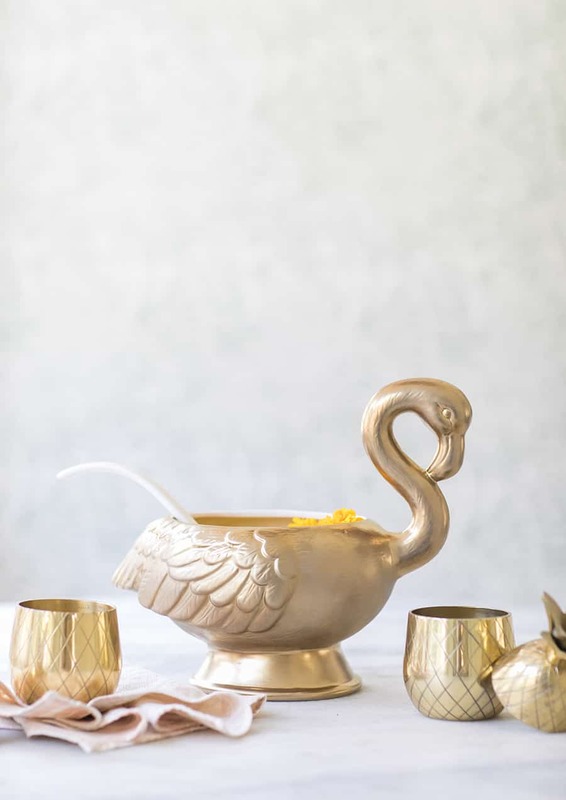 For the drink, aptly named the Sunset Swan cocktail, I knew the perfect cocktail to serve in the bowl needed to be bright and tropical, so I turned to my favorites… fresh pineapple juice and coconut rum. 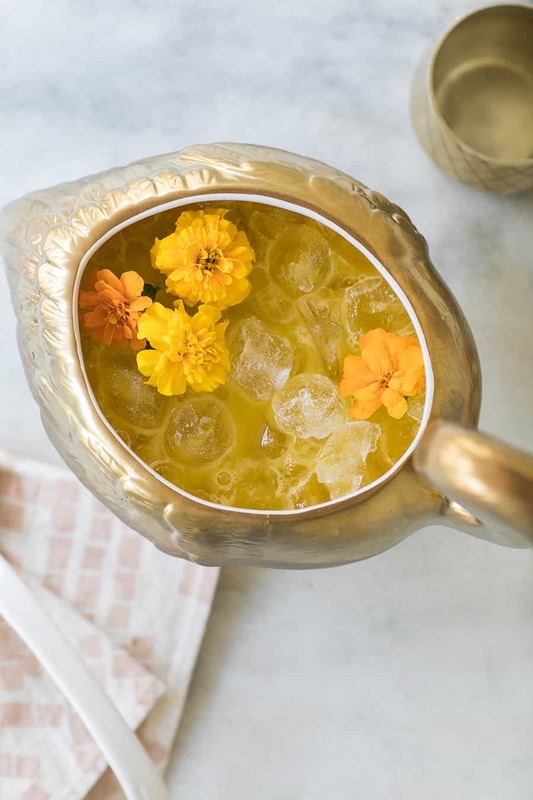 You can never go wrong with these flavors when creating a vibrant, beachy cocktail! I added in some fresh mango juice, lime and a homemade ginger simple syrup and we felt like we were lounging on the beach when sipping it! I also like to make my own juice for cocktails. There’s no comparison when it comes to fresh-pressed juice vs store bought. I’ve been loving this juicer because it’s small and easy to clean and let’s be real, no one wants to pull out a giant juicer to make a cocktail and then be left with a huge mess to clean up. 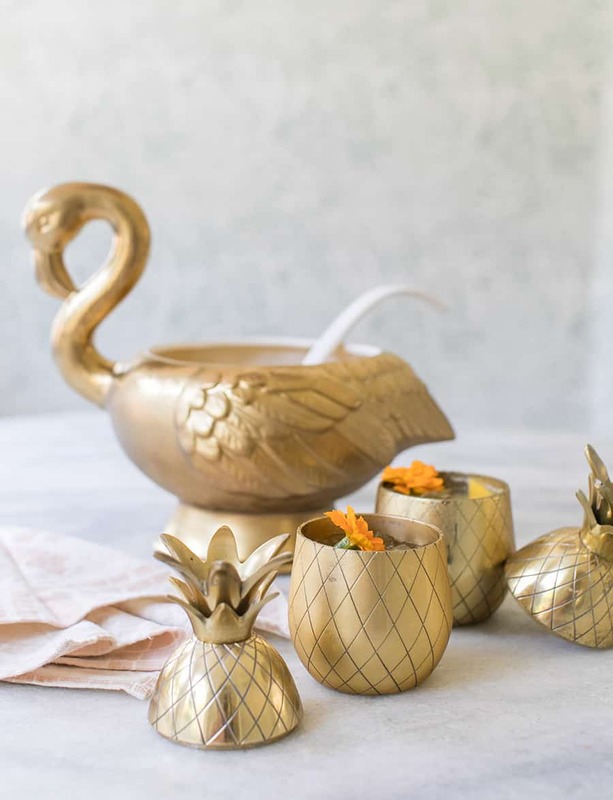 This Sunset Swan cocktail recipe is easy and perfect for a hot summer day! Using a juicer, juice the pineapple and mango. To make the ginger simple syrup add ½ cup ginger juice and ½ cup granulated sugar and simmer in a small saucepan until sugar has dissolved. 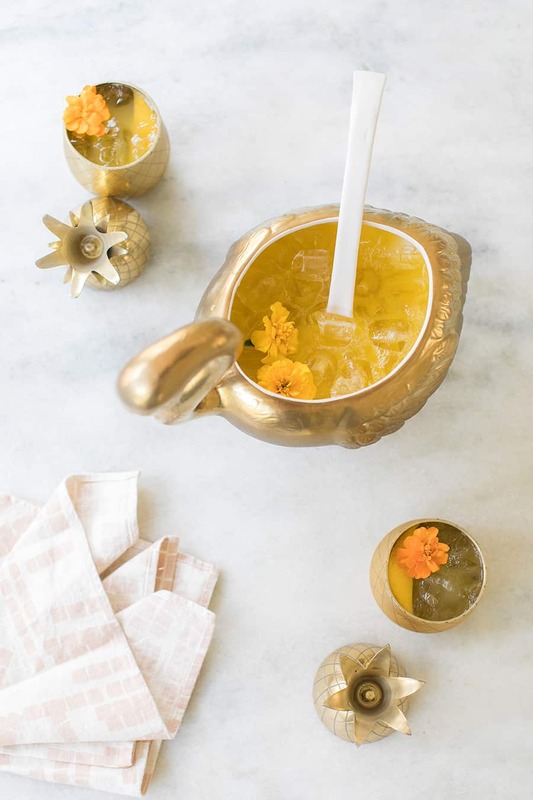 Add the pineapple juice, mango juice, coconut rum, lime and 1 ounce ginger simple syrup in a small punch bowl with ice. Stir to let the ice mix and dilute the cocktail.